In what looks like a follow-up to last week’s CBC documentary, The Politics of Polar Bears, the London (UK) based DailyMail published interviews with polar bear biologists Mitch Taylor and Andrew Derocher (September 9, 2014). The CBC film did have a “one scientist vs. another” flavor about it and this article definitely echoes that approach. My comments below on Derocher’s insinuations and questions about starving bears and global warming. “Dr Taylor said that since he made his views known, he has been ostracised by the polar bear scientific community. Indeed, Dr Derocher is outspoken in his views on scientists who don’t believe that polar bears are threatened by climate change. ‘Some of the scientists that are claiming resilience in polar bears are being paid by right-wing climate change denier groups,’ he said. ‘These individuals are paid to obfuscate the scientific data. ‘If polar bears could garner the resources they need on land, why do they lose about 0.8-0.9 kg of body mass per day? [Steve Amstrup from Polar Bears International also used this tactic of presenting strawman arguments back in January, see my response here]. Polar bears in many regions of the Arctic (but not all) move to land in early to late summer and go through a period of fasting of varying lengths of time. This is entirely normal for polar bears, not something new due to global warming (see previous post here about the polar bears of St. Matthew Island, who appear to have spent about 5 months on land during the ice-free period – in 1874). Polar bears lose “0.8-0.9 kg” (about 2 pounds) a day because they are living off the excess fat they put on in the spring and early summer – well-fed bears do not need to eat while on land, although they will eat what they can find, even if they are fat already. This is not a new phenomenon – they appear to always have done this: they seem to always be looking for food. For example, see this post: “Polar bears in winter: insights from Behouden Huys, 1596-1597,” which describes Barents Sea polar bears getting into food stores of William Barents and his crew over the winter of 1596-1597. Putting on hundreds of pounds of fat in the spring to last through periods of food scarcity later in the year (whether it comes at the end of summer or over the winter, which can also be a time of low seal availability) is the evolutionary adaptation that has allowed polar bears to live successfully in the Arctic through all kinds of changes in sea ice (see previous post here). Derocher has spent 30 years studying polar bears but is pretending he doesn’t know that starvation is relatively common in polar bears (especially for young and very old bears). He seems to be suggesting that no polar bear ever starved while on land during the ice-free season before global warming! But perhaps Derocher hasn’t bother examining the literature of his colleagues on polar bears, as I have? 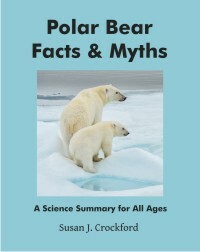 Polar bears starved in significant numbers in 1974 and again in 1975 – no numbers of deaths for bears have ever been estimated (that I could find), but the decline in ringed seals that caused polar bear numbers to plummet was estimated at 80% or more. With virtually no seals to eat in the spring, a large number of bears – especially females and cubs – must have died of starvation, either that spring or later that year. 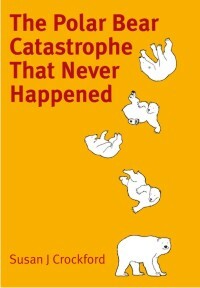 No cries of “feed the starving polar bears” then – or in the 1980s or the 1990s, when it happened again. So I have a question for Andrew Derocher: where are all the starving bears he’s talking about? Could we see some pictures and actual data on the bears that you and your colleagues keep insisting are starving due to global warming? Derocher and his colleagues repeatedly mention the starving bears of Western Hudson Bay but so far, none of the scientific data supporting this claim has been published. As Reg Sherren’s CBC documentary pointed out, virtually all of the “problem” bears of Churchill who have ended up in polar bear ‘jail’ over the last 5 years or more have been in good condition (which means fat, not starving). 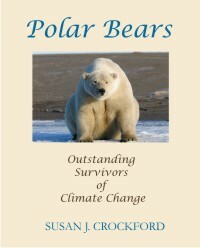 This entry was posted in Advocacy, Conservation Status, Sea ice habitat and tagged caribou, conservation, DailyMail, Derocher, fasting, goose eggs, Gormezano, ice-free season, Mitch Taylor, polar bears, Rockwell, sea ice, sea ice decline, starving, survival, terrestrial foods, weight loss, western hudson bay. Bookmark the permalink.